Portable Document Format, which is popularly known as PDF, is widely used to share documents. When sharing PDF files with your colleagues or friends over the internet, you might want to compress or shrink the size of large PDF files. When it comes to compressing PDF files, there are very few good utilities out there for Windows as well as Mac operating system. However, there are a bunch of good online services available to quickly upload and compress PDF files. In this guide, we will share the best six tools and web services that you can use to compress or shrink PDF files on Windows and Mac. Smallpdf.com is a free web service designed to deal with PDF files. In addition to compressing, smallpdf.com offers services to convert JPG files to PDF, Word to PDF, Excel to PDF, and PPT to PDF. A tool to unlock password protected PDF files is available as well. To compress a PDF file, visit smallpdf.com, click Compress PDF option, and then click Choose file to open your PDF file. Clicking the Open button will automatically upload the file and an option to download the compressed file will appear once the job is done. 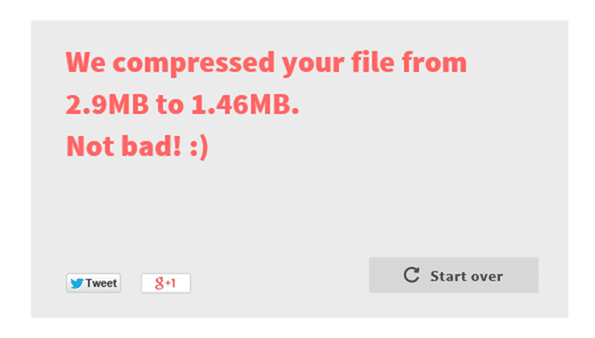 The service also shows the new size of the compressed PDF, which means you don’t need to download the new file in order to know the size of the file. As most of you know, Office 2013 supports creating and editing PDF files. However, not all users know that Office 2013 can be used to compress PDF files! While saving a document as PDF file in Office 2013, be sure to select the option titled Minimum size to reduce the size of your new PDF file. If you already have a PDF file, you can open the PDF file in Word 2013, enable PDF editing, and then save it as a new PDF file with the above mentioned settings. You can go through our how to edit PDF files in Word 2013 for detailed instructions. 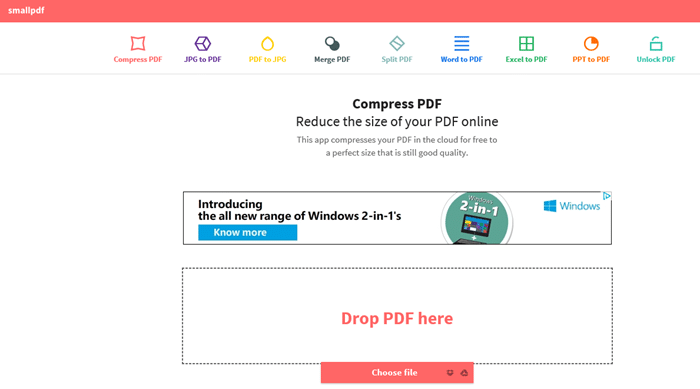 PDF Compressor is a free utility developed to compress large PDF files offline. Once downloaded and installed, launch PDF Compressor tool and simply drag and drop PDF files to the application window. The tool allows you adjust compression settings but these settings are not available in the free version. 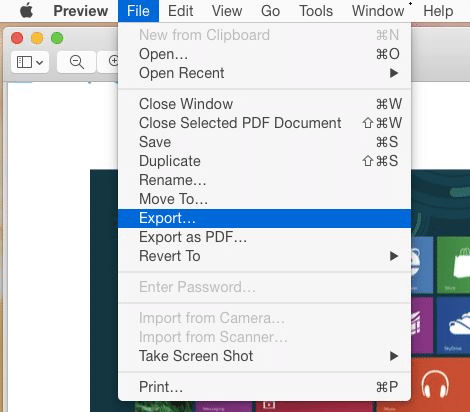 Step 1: Right-click on the PDF file, click Open with, and then select Preview. Step 2: Once the PDF file is opened in Preview, click File menu, and then click Export option. 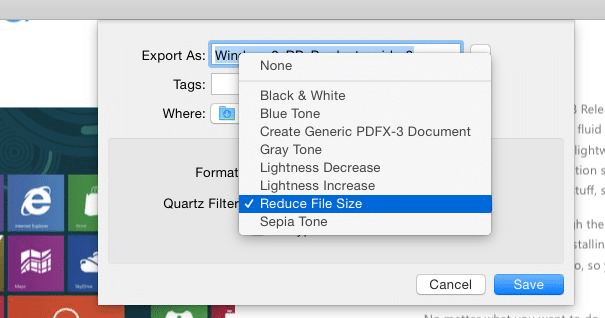 Step 3: In the resulting dialog box, select Reduce File Size option by clicking the Quartz Filter drop-down menu. Finally, click on the Save button. Check the size of exported file to see the difference! PDF Compress is another free online service to quickly shrink PDF files without installing any software on your PC or Mac. Simply visit pdfcompress.com and then select a file from your computer, your Dropbox, or Google Drive account. The maximum file size supported is 200 MB, which is pretty good for PDF files considering that most PDF files will be under 50 MB. PDFZipper.com is a free service to shrink PDF files online. 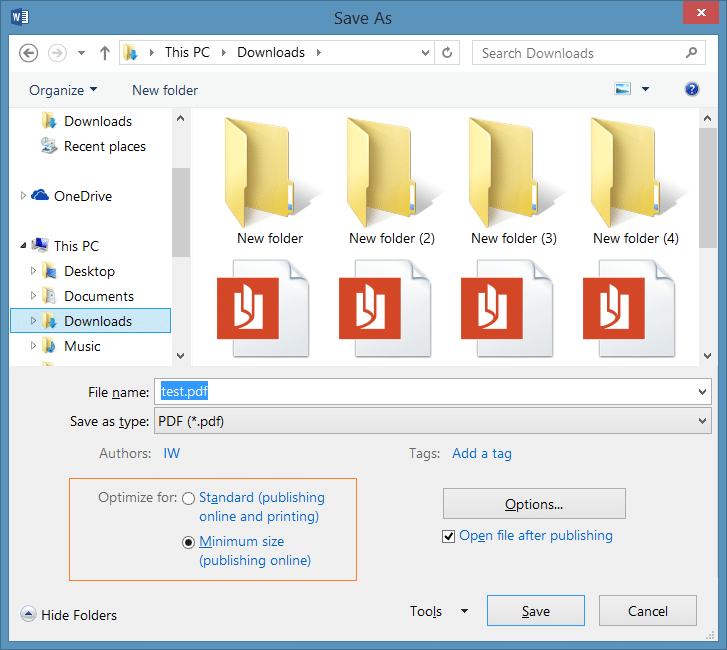 You can upload PDF files either from your PC or use the URL of the PDF file. The maximum supported file size is 12 MB! However, PDFZipper.com lets you choose between two compression levels: Print, and Screen. When you compress PDF files using Print compression level, your file quality will be sufficient for printing. And if you choose Screen option, PDF file will be optimized for screen view (72 DPI). Tip: The popular Adobe Acrobat Professional comes with a dedicated PDF optimizer tool, which offers a numerous options to reduce the file size. Since it’s a paid software, we haven’t covered about this software in detail.